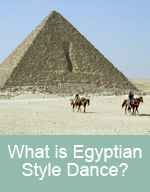 Master Teachers in Cairo, Egypt,	and has been teaching, performing and choreographing dance for over 20 years. Shahrahzad is a teacher with passion, knowledge and creativity. Her extensive movement background and involvement with the arts makes her a sensitive and intelligent teacher, open to the needs of each individual and willing to bring out the best in them. Using humour, physiology and imagery, Shahrahzad's classes are fun and instructive and she has produced many world class dancers. Shahrahzad is a graduate of the Dance Perfomance Program at Grant MacEwan University and has worked as dancer and choreographer for professional dance companies such as the Brian Webb Dance Company, Mile Zero Dance and Alberta Dance Theatre. Her extensive training / teaching includes ballet, jazz, modern, tap, highland and musical theatre. In 2009 she choreographed Suessical for the Western Canada Theatre Company. 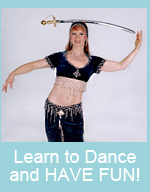 In 1995, Shahrahzad discovered the beauty of Middle Eastern dance and it soon became her driving passion. 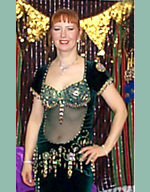 She has studied with some of the most renowned teachers in the Egyptian style and has travelled the world seeking to expand her knowledge Shahrahzad completed the Cairo Seminar for Teachers & Professional Dancers in Egypt in 2007 with Master Mahmoud Reda. In 2004, she began a student troupe Banat Tariq (Daughters of Tariq) first place winners in '07 the Ahlan Cairo Event in Dallas, Texas. Randa Kamel, Raqia Hassan, Dina, Hadia, Yasmina Ramzy, Osama Emam, Khaled Mahmoud, Morocco, Jalilah, Yousry Sharif, Sabura, Princess Farhana, Beba, Nesma, Jillina, Mohammed Khazafy, Alexandra King, Dalia Carella, Nath Keo, Caroline Labrie, Dr. George Sawa, Sharon Kihara, Ebony Qualls, Oreet and many more!